Microsoft has announced that the Windows Phone 7 Dell Venue Pro wil be coming to the UK by Christmas. 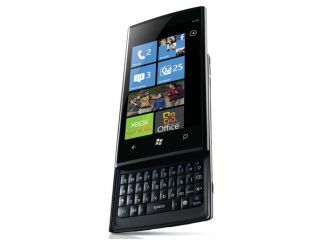 Dell's Venue Pro will join the five other Windows Phone 7 handsets – three from HTC and one each from LG and Samsung – in the UK market in the coming months. The Venue Pro will offer something a little different to the market, with the other five all touschscreen tablet type phones, but the Venue Pro offering a slide out QWERTY keyboard. Considering Microsoft are keen not to lose business users and are desperate to reign in RIM's BlackBerry, the addition of a physical keyboard is an important one. Specs wise, the Dell Venue Plus offers a 4.1-inch touchscreen and the usual 1GHz processor along with a 5MP camera. "You might ask, who the Dell Venue Pro is for?" said Dell's Bill Gorden. "We see the Venue Pro for everyday people with a diverse range of full and busy lives. "They need to stay connected, be productive and keep in touch with colleagues, friends and family. Dell designed the Venue Pro to be a multi-purpose always-connected device to help people be more efficient, always connected and entertained."